(fre)The first date of birth and birthplace are originated from the official site; the second ones are confirmed by the family genealogies published in État présent de la noblesse belge" 1979, 1995 et 2010. (nor)The first date of birth and birthplace are originated from the official site; the second ones are confirmed by the family genealogies published in État présent de la noblesse belge" 1979, 1995 et 2010. Amélie Nothomb signs Life Form. Amélie Nothomb promotes Le voyage d'hiver. Amélie Nothomb reads from Le voyage d'hiver. Amélie Nothomb reads from Le fait du prince. Amélie Nothomb is currently considered a "single author." If one or more works are by a distinct, homonymous authors, go ahead and split the author. 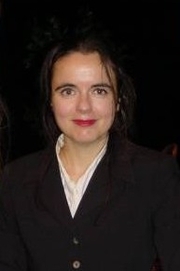 Amélie Nothomb is composed of 3 names. You can examine and separate out names.